These freshly squeezed organic vegetable and fruit juices are important to The Bragg Healthy Lifestyle. It's not wise to drink beverages with your main meals, as it dilutes the digestive juices. But it's great during the day to have a glass of freshly squeezed orange, grapefruit, vegetable juice, Bragg Vinegar ACV Drink, herb tea or try hot cup Bragg Liquid Aminos Broth (2 to 1 tsp Bragg Liquid Aminos in cup of hot distilled water) - these are all ideal pick-me-up beverages. Bragg Apple Cider Vinegar Cocktail - Mix 1-2 tsps equally of Bragg Organic ACV and (optional) raw honey, blackstrap molasses or pure maple syrup in 8 oz. distilled or purified water. Take glass upon arising, hour before lunch and dinner (if diabetic, to sweeten use 2-4 stevia drops). Bragg Favorite Juice Cocktail - This drink consists of all raw vegetables (please remember organic is best) which we prepare in our vegetable juicer: carrots, celery, beets, cabbage, tomatoes, watercress and parsley, etc. The great purifier, garlic, we enjoy but it's optional. Bragg Favorite Health Smoothie "Pep"Drink - After morning stretch and exercises we often enjoy this drink instead of fruit. It's delicious and powerfully nutritious as a meal anytime: lunch, dinner or take in thermos to work, school, sports, gym, hiking, and to park or freeze for popsicles. Optional: 8 apricots (sundried, unsulphured) soak in jar overnight in purified water or unsweetened pineapple juice. We soak enough for several days, keep refrigerated - also delicious topped with soy yogurt . Add seasonal organic fresh fruit: peaches, strawberries, berries, apricots, etc. instead of banana. In winter, add apples, kiwi, oranges, tangelos, persimmons or pears, and if fresh is unavailable, try sugar-free, frozen organic fruits. Servings 1 to 2. Use freshly popped organic popcorn (use air popper). Try Bragg Organic Olive Oil or flax seed oil or melted salt-free butter over popcorn and add several sprays of Bragg Liquid Aminos and Bragg Apple Cider Vinegar Yes; it's delicious! Now sprinkle with nutritional yeast (lg.) flakes. 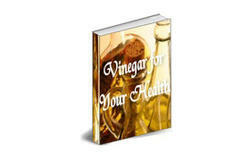 For variety try pinch of Italian or French herbs, cayenne pepper, mustard powder or fresh crushed garlic to oil mixture. Serve instead of breads! Bone and muscle aches and pains, especially lower back. Shooting pains when straightening up after leaning over. Dizziness upon straightening up after leaning over. Morning dull headaches upon arising and when stressed. ^ The body feels heavy, tired and it's an effort to move. Dull, faded-looking hair that lacks sheen and luster. The scalp is itchy. Dandruff, premature hair thinning & or some balding may occur. The hair is unmanageable, mats, often looks straw-like, is sometimes extremely dry and other times oily. The eyes itch, feel sore and uncomfortable, and appear bloodshot and watery. Also, eyelids may be granulated with white matter collecting in the corners. The eyes tire easily and will not focus as they should. Loss of mental alertness and onset of confusion, making decisions difficult. The memory fails, making you forget names and places you should easily remember. You tire physically and mentally with the slightest effort. You become easily irritable and impatient with your family, friends and loved ones, and even with your business and social acquaintances. You feel nervous, depressed and in a mental fog. You have difficulty getting things done, due to mental and muscle and body fatigue. The slightest effort can leave you upset, nervous and trembling. At times, your hands and feet get chilled, even in warm weather, which is a sign of potassium deficiency. Potassium is the key mineral in the constellation of minerals; it's so important to every living thing that without it there would be no life. Bragg Organic Apple Cider Vinegar is a good source of potassium.